Pickup from Arrival and Transfer to a hotel, After Fresh 'n' up proceed to visit Lalbagh, Vidansaudha, Museum, Cubban and ISKON temple. Overnight Stay @ Bangalore. After Breakfast check out and proceed to Coorg. En route visit Srirangapatna(Dariya Daulat Bagh, Gumbaz, Fort and Temple). On arrival check in to hotel. Evening visit Raja’ s Seat. Overnight Stay @ Coorg. 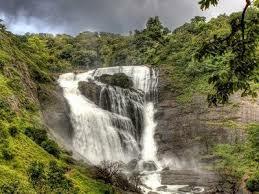 After Breakfast proceed to Talacaveri, Bhagamandala, Omkareshwara Temple, Merkera Fort and Abby Falls. Overnight Stay @ Coorg. After Breakfast proceed to Mysore. En route visit Tibetian Golden Temple, Nisarga Dhama. On arrival check in to a hotel. 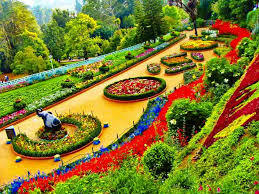 Later visit Maharaja's Palace and Brindavan Garden. Overnight Stay @ Mysore. After Breakfast checkout and proceed to visit Chamundi Hill, Big Bull and Mysore Zoo. Later proceed to Ooty. On arrival check in to hotel. Evening visit Botanical Gardens. Overnight Stay @ Ooty. After Breakfast Proceed to Coonoor. 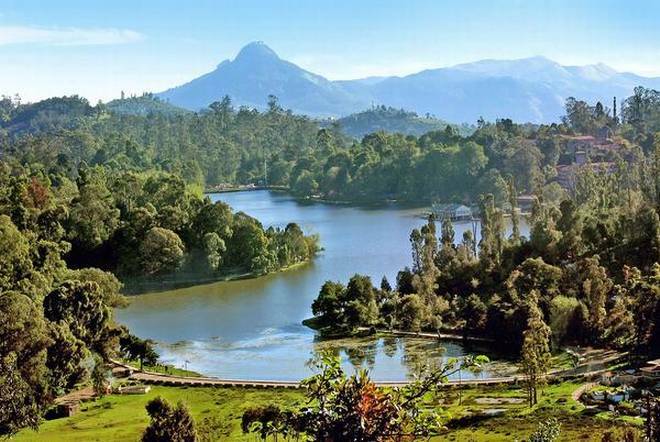 Coonoor Sight seeing(Sim’s Park, Lam’s Rock, Dolphin Nose, Tea factory and Tea Gardens), Doddabetta Peak and Ooty Lake. Overnight Stay @ Ooty. 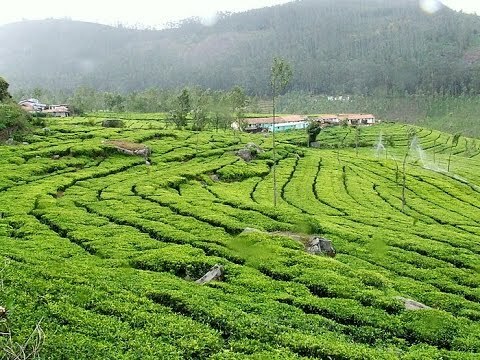 After breakfast proceed for local markets of Ooty for shopping and rest of the sightseeing till evening & relax at hotel. After Breakfast checkout and proceed to Kodaikanal. On arrival Check in to hotel. Evening visit to Kodaikanal Lake. Overnight Stay @ Kodaikanal. After Breakfast proceed to sight seeing to visit Cookers Walk, Green Valley View, Pillar’s Rocks, Silent Valley View, Silver Cascade Falls. Overnight Stay @ Kodaikanal. After Breakfast checkout and proceed to Madurai / Coimbatore / Bangalore to board your Train or Flight.